When is Southwest not Southwest? Most airlines have a two-letter code that identifies them. These codes are assigned by IATA, the International Air Transport Association. IATA regulates how member airlines work with each other. Passengers usually notice the airline and airport codes on boarding passes or bag-check tags. These were established so that airlines around the world have a way to do business and to communicate with each other across language and political barriers. The story/urban legend about how Southwest became WN is kind of funny. That is to aviation geeks anyway. Northwest used NW. And since Southwest could be considered the mirror image of Northwest geographically, IATA flipped NW to WN (think REDRUM / MURDER from The Shining.) Somebody at IATA may have had a sense of humor. Or maybe at Southwest. Airlines do have input on what codes they get. Then again, it may have been a simple luck of the draw. I prefer the story. It’s much more fun. IATA does allow airline codes to be recycled six months after the previous owner goes out of business. Some codes are so iconic I doubt they will ever be used again. 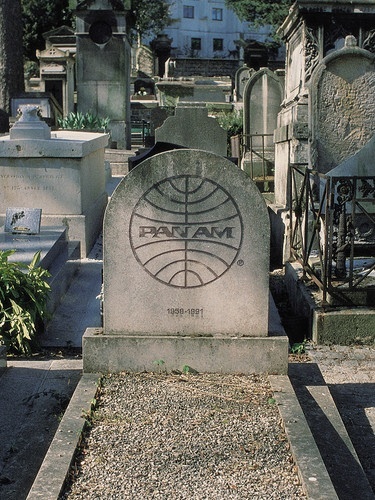 PA must always stay Pan American. Let’s have some respect for the dearly departed. Today, with all the new airlines, IATA has run out of unique two-letter codes. Numerals have been added to the mix. That’s why is B6 is jetBlue. If you happen to enter airline geek websites such as airliners.net and use SW for Southwest you will be quickly and firmly corrected. This entry was posted in Uncategorized and tagged Air Namibia, airliners.net, IATA, Pan Am, S7 Airlines, Southwest, The Shining by amondt. Bookmark the permalink.